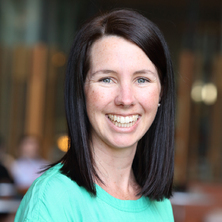 I currently hold an NHMRC Early Career Fellowship (2016-2019) and have been employed by the University of Queensland Diamantina Institute since completing my PhD. During my PhD at the University of Western Australia (2010-2014), I time spent at the University of Toronto with one of my supervisors to gain experience in statistical modelling methods for longitudinal growth trajectories. This allowed me to conduct the first genome-wide association study of longitudinal growth trajectories over childhood. Prior to my PhD, I was a Research Officer, and subsequently Team Leader (Biostatistics), at the University of Western Australia. In this role, I developed strong ties with several international consortia investigating the genetic determinants of common, complex disease and played a key role in the analysis of several genome-wide association studies for these consortia. My research career to date has focused on applying advanced statistical methods to genetic data to help answer complex medical questions. The main aims of my current research are: 1) identify genetic variants associated with early life growth, including fetal growth, growth throughout childhood and through puberty, and 2) ascertain whether certain periods of growth throughout childhood and adolescence cause cardio-metabolic disease in adulthood. The development of obesity often occurs in early life and tends to persist into adulthood. Unfavourable growth in early life is also associated with adverse cardio-metabolic outcomes in later life, such as type two diabetes and heart disease. Understanding the mechanisms underlying this relationship is a vital step in combating these lifestyle diseases and evaluating the likely success of early interventions. The main aims of my research are: 1) identify genetic variants associated with early life growth, including fetal growth, growth throughout childhood and through puberty, and 2) ascertain whether certain periods of growth throughout childhood and adolescence cause cardio-metabolic disease in adulthood. I am a leading member of the Early Growth Genetics (EGG) consortium, which brings together studies from around the world with growth related phenotypes and genetic data in order to conduct large-scale research. Being part of this consortium allows me to achieve my aims by conducting large genome-wide association studies of growth phenotypes, several of which I have co-led. We then use the information from these studies to perform causal modelling to help disentangle the relationship between childhood growth and later life cardio-metabolic disease risk. I also adapt existing statistical methods to help unravel these complex relationships. Beaumont, Robin N., Warrington, Nicole M., Horikoshi, Momoko, Day, Felix R., Ong, Ken K., McCarthy, Mark I., Perry, John R. B., Freathy, Rachel M. and Evans, David M. (2018). Maternal and fetal genetic effects on birth weight and their relevance to cardio-metabolic disease. In: 27th Annual Meeting of the International-Genetic-Epidemiology-Society (IGES), San Diego, Ca, United States, (688-688). 14-16 October 2018. Evans, David and Warrington, Nicole (2017). Performing Mendelian randomization using structural equation models. In: 47th Annual Meeting of the Behavior-Genetics-Association (BGA), Oslo Norway, (651-651). 28 June - 1 July 2017. Warrington, Nicole, Hemani, Gibran, Hysi, Pirro, Mangino, Massimo, McMahon, George, Hickey, Martha, Wolke, Dieter, Montgomery, Grant, Pennell, Craig, Spector, Tim, Martin, Nicholas, Medland, Sarah and Evans, David (2016). Genome-wide association study of 6,939 individuals identifies five novel loci and suggests that prenatal exposure to testosterone is not a major determinant of individual differences in 2D:4D finger ratio. In: Behavior Genetics. 46th Annual Meeting of the Behavior-Genetics-Association, Brisbane Australia, (813-813). Jun 20-23, 2016. Zheng, Jie, Haycock, Philip, Hemani, Gibran, Elsworth, Benjamin, Shihab, Hashem, Laurin, Charles, Erzurumluoglu, Mesut, Howe, Laurence, Wade, Kaitlin, Warrington, Nicole, Finucane, Hilary, Price, Alkes, Anttila, Verneri, Paternoster, Lavinia, Martin, Richard, Relton, Caroline, Gaunt, Tom, Smith, George Davey, Neale, Benjamin and Evans, David (2016). LD hub and MR-base: online platforms for preforming LD score regression and Mendelian randomization analysis using GWAS summary data. In: Behavior Genetics. 46th Annual Meeting of the Behavior-Genetics-Association, Brisbane Australia, (815-815). Jun 20-23, 2016. Warrington, Nicole M. and Evans, David M. (2016). Locus Discovery in Genome-wide Association Studies using Bivariate Analysis. In: Genetic Epidemiology. Annual Meeting of the International-Genetic-Epidemiology-Society, Toronto Canada, (670-670). Oct 24-26, 2016. Waage, J. E., Kreiner-Moller, E., Standl, M., Brix, S., Pers, T. H., Alves, A. C., Warrington, N. M., Tiesler, C. M., Fuertes, E., Franke, L., Hirschhorn, J. N., James, A., Simpson, A., Tung, J. Y., Koppelman, G. H., Postma, D. S., Pennel, C. E., Jarvelin, M-R, Custovic, A., Timpson, N., Ferreira, M. A., Strachan, D. P., Hinds, D., Bisgaard, H. and Bonnelykke, K. (2015). Shared genetic origins of allergy and autoimmune diseases. In: Allergy. Congress of the European-Academy-of-Allergy-and-Clinical-Immunology, Barcelona Spain, (112-112). Jun 06-10, 2015. Kemp, John P., Medina-Gomez, Carolina, Warrington, Nicole M., Heppe, Denise H. M., Timpson, Nicholas J., Oei, Ling, St Pourcain, Beate, Kruithof, Claudia J., Zillikens, M. Carola, Hofman, Albert, Uitterlinden, Andre G., Smith, George Davey, Jaddoe, Vincent W. V., Tobias, Jonathan H., Rivadeneira, Fernando and Evans, David M. (2014). Bivariate genetic association analysis of pediatric total-body DXA parameters identifies two novel genetic variants that jointly influence bone mineral content and bone area. In: Annual Meeting of the American Society for Bone and Mineral Research, Houston, Texas, United States, (S493-S494). 12-15 September 2014. Bivariate genome-wide association study of birth weight and endophenotypes related to five diseases in later life.